RKMS offer a wide range of health and safety training courses – from general awareness to internationally recognised NEBOSH qualifications. Our class room based courses are also supported by a wide portfolio of eLearning courses. We are a City & Guilds and Highfield approved training centre. All our courses can be delivered at our state of the art training facilities or at your premises. 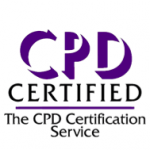 This qualification is usually achieved by taking a one-day classroom-based course, however, it can also be achieved through a variety of other methods including blended, distance and e-learning. It is assessed by a multiple-choice examination, where the learner must answer at least 12 out of 20 questions correctly. The examination will take a maximum of 45 minutes to complete. This qualification has a total qualification time of 30 hours and guided learning of 21 hours. Please click on a toggle below to reveal course information. These courses are aimed at persons in organisations who have a responsibility for health and safety. The courses are carried out over either a 2 week period, consisting of 2 one week sessions in each consecutive month, followed by two revision days prior to the examination. Exams are set nationally four times a year; however we are able to offer local sittings at a small additional charge. We can also offer this course through distance learning. This course is aimed at persons in construction and building industries who have a day to day responsibility for site safety. The course id delivered over a 2 week period, consisting of 2 one week sessions in each consecutive month, followed by two revision days prior to the examination. Exams are set Nationally four time a year, however we are able to offer a local sittings at a small additional charge. This is a new qualification aimed specifically at process manufacturing industries such as petrochemical, nuclear, brewing, and chemical related businesses. This is a One week specialised qualification aimed specifically at those persons who work either on or offshore in the Oil and Gas Industry. The course is ideal for people in organisations who have to manage risk and resources, typically line managers. The aims of the course is to ensure safety requirements are appreciated, provide the skills to critically review their own departmental systems for safety, and identify opportunities to introduce new controls or implement changes as appropriate to make their department work more safely. The course is made up of 7 core modules and 1 organisation- specific one, which is a work place assignment carried out in the students own time. The overall timetable for the tutorial sessions is approximately 1 week; (36hours).This course is externally verified and certified. Participants will learn the basic principles of how fire spreads, the classes of fire, and the type of fire extinguishers, including practical demonstrations of fire extinguishers. The requirements of current fire safety legislation and practical guidance as to compliance and hence mitigation of fire risk in the work place. We are also able to offer recognised qualifications in fire safety via our awarding body Highfield. This course has been developed to help those persons or organisations who require working at height. The course introduces the delegate to the legal requirements of the working at height regulations 2005. This course is aimed at those persons who have to manage manufacturing machinery, and the hazards they present. The course identifies the legal requirements on manufacturers, the safety features incorporated into machinery to prevent harm, and the legal responsibilities of the user for safe use , operation and maintenance. This course is aimed at those persons and organisations that use tools, equipment or working methods which may expose their employees to the hazards of noise and or hand arm vibration. The course introduces the delegate to the legal requirements placed upon Employers to minimise risk to health and safety, and then the practical measures that can be applied to measure noise and vibration and the methods which can then be adopted to minimise risk of ill health occurring. This seminar based course looks at the type of work activities which fall under the category of a “confined space” it then examines the type and nature of the hazards and risks employees may be exposed to and the effective control measures that can be adopted including a hierarchical approach to eliminate risk. In addition the seminar looks at effective safe systems of work, permit systems and planning for emergencies. An introduction to the hazards presented by asbestos containing materials. In addition the course looks at the legal requirements for working with or near asbestos. The requirements for asbestos surveys and the further requirement to manage asbestos. 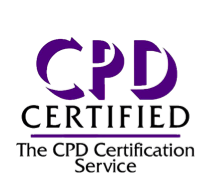 All our eLearning courses are CPD certified and our H&S courses are all RoSPA approved.